This is a complex building project having required 12.5m-deep excavation works for meeting the particular demands of the building program (three underground levels). 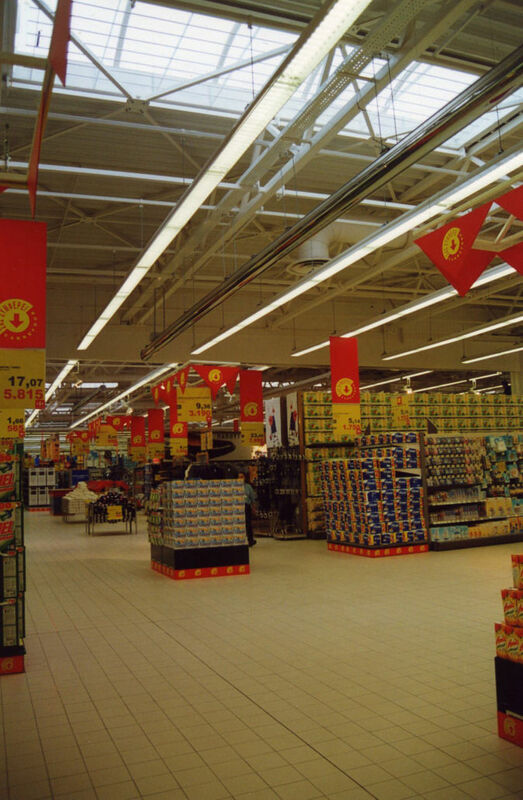 The hypermarket extends over four levels: a retail store on the ground-level and three basement levels. 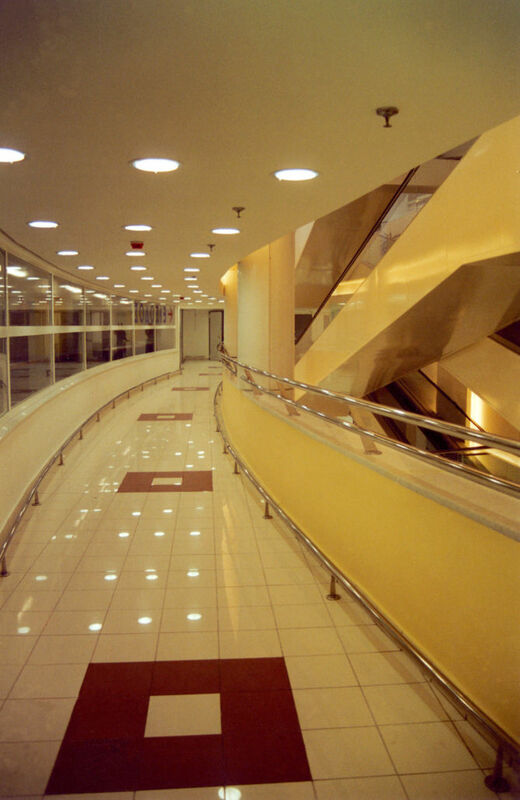 With an area of 10,500 sq.m., the ground-level is organized along a mall parallel to the façade on Marathonos Avenue and houses the reception area, the stand and refreshment area, while access to the retail area is ensured via conveyor belts. Expanding over an area of 1,200 sq.m., the first basement level houses administrative support services, the sanitary area and changing rooms, mechanical rooms, the PPC substation, storage and parking. 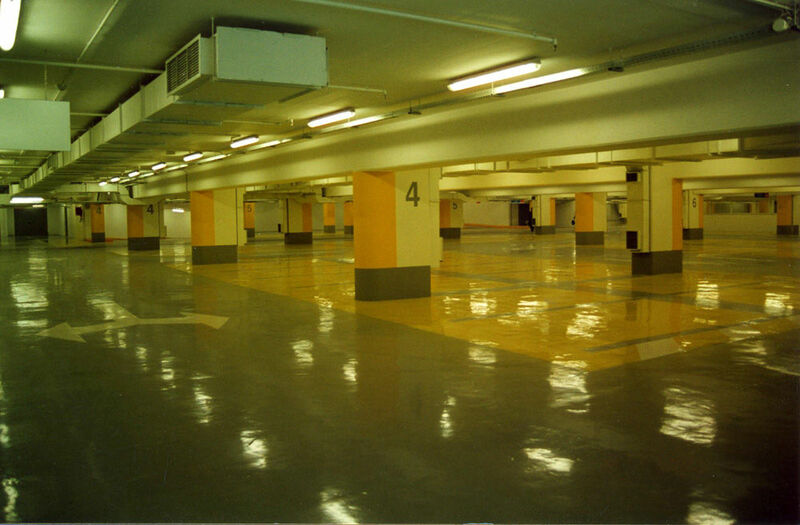 The remaining two basement levels include the main bulk of parking areas (a total of 950 seats), the electro/mechanical support installations and storage. It is a complex building project with a mixed structure of conventional character up to the natural ground and a metal jointed latticework over the ground-floor covered by thermally insulated profiled cladding. 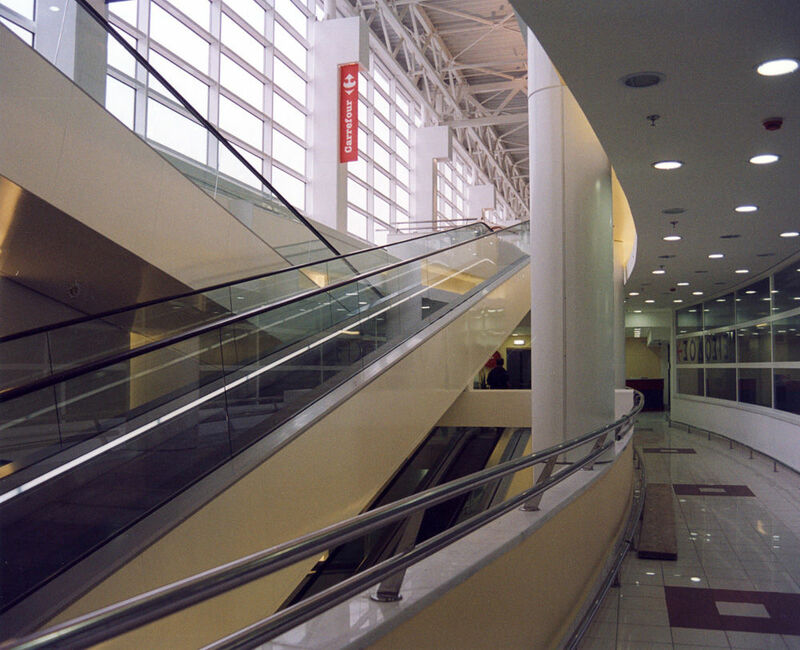 The mall parallel to Marathonos Avenue constitutes a prominent feature of the building. 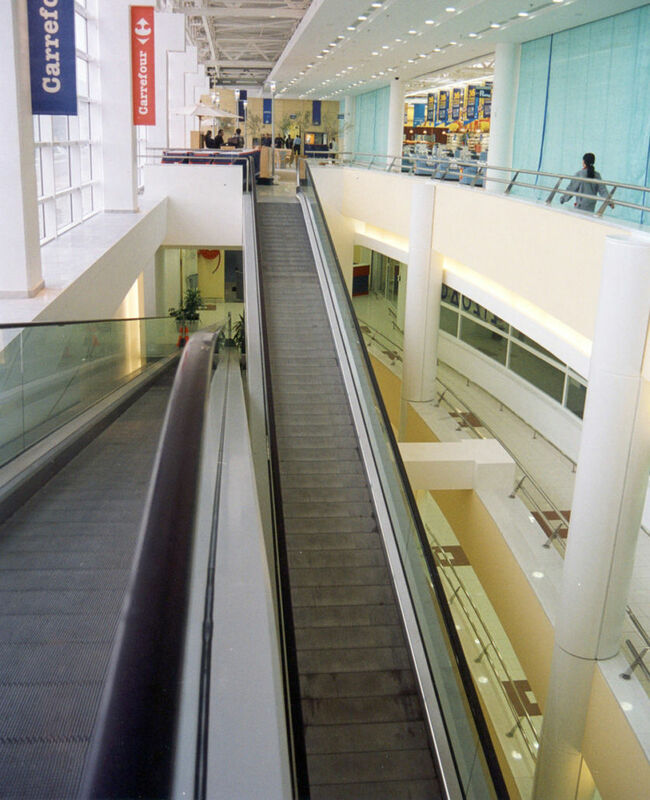 It is connected with the underground parking areas via conveyor belts. 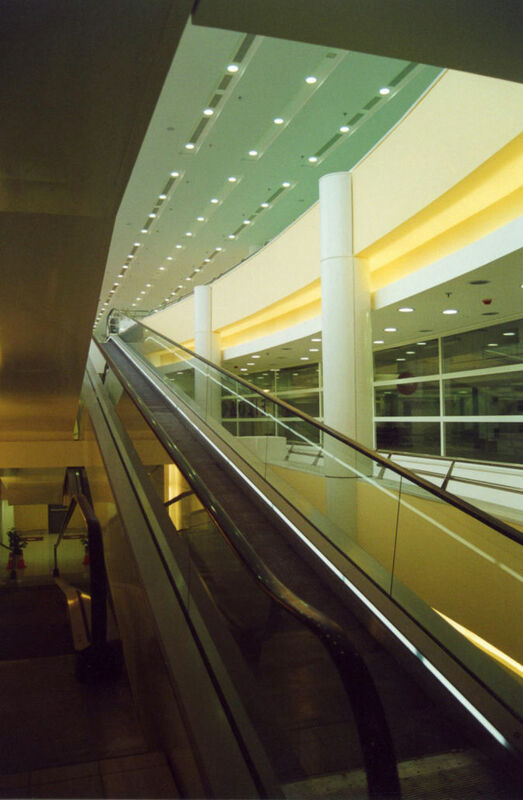 The glass curtain wall of the façade allows visual contact between the mall and Marathonos Avenue and at the same time it ensures natural lighting to the underground parking areas through the gap of the conveyor belt. The canopy crowning the curtain wall provides a landmark character to the building.